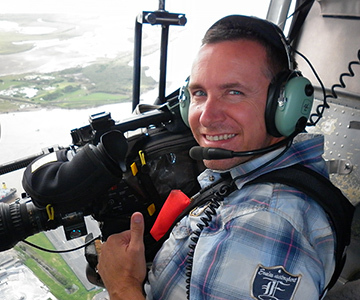 I'm a freelance Camera Operator working in Brisbane and the Sunshine Coast with a diverse track record spanning over 20 years in broadcast television and on video productions filmed throughout Australia. My experience as a freelance Camera Operator covers a wide production portfolio and includes; television programs, Ob-Doc tv programs, documentaries, Reality, Factual , Lifestyle, Corporate and Media Training films, long and short form Current Affairs programs, Sports, Live Events, OB's and Feature Film. I have worked for numerous Production Co's and Broadcasters filming throughout Australia and overseas. Some of the well known include ITV, Fremantle Media, Beyond Productions, Discovery Channel, BBC, ABC Television, Disney, and 7, 9, 10 and SBS networks. 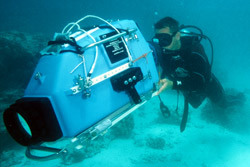 As a Dive Cameraman or Underwater Cameraman, I have worked on Documentaries, Reality TV, TVC's and TV Programs and Feature Film throughout Australia, the Great Barrier Reef and overseas.